Are you looking to give your property, domestic or commercial, a proper facelift? Just to look good or perhaps in preparation for a sale? 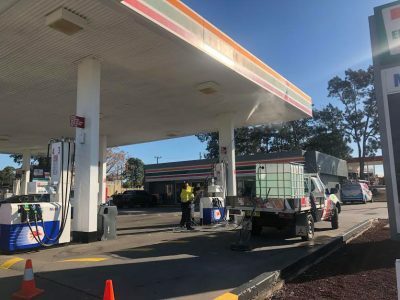 Whatever the case, our premier high pressure washing and cleaning service are exactly what you need for the cleaning and restoration of your outdoor surfaces. Over the last 20 years, we have worked with many clients including home owners, property management companies, real estate agencies, factories and manufacturing plants as well as the local government among others. 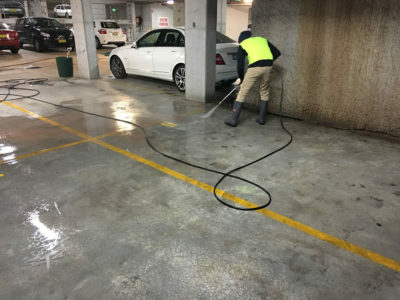 In those years, we have also had overwhelming repeat business and numerous recommendations owing to the quality of our high pressure water cleaning service. Cleaner and safer surfaces with a new shine. Sometimes, just cleaning with even the most powerful detergents and chemicals may not be enough. We guarantee the removal of any stubborn stains and debris with our pressure washing service. After our team is done doing what they do best, your home or commercial space will be looking its best and as good as new. Some of these stains, more so the greasy stains can be a cause for slip accidents. We will help you make your space all the more safer with our cleaning services. Do you have a persistent mold growth problem on your property? At Ultimate Site Services, we know just how unsightly it can get if the mold grows and spreads across your surfaces. 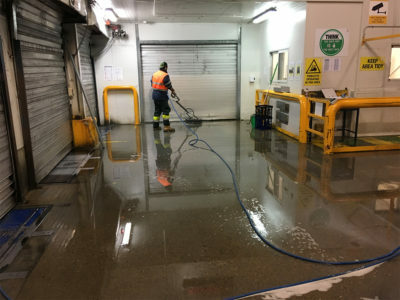 Our high pressure cleaning techniques will penetrate to the very roots of the growth, thereby not only removing the mold, but effectively preventing any more growth for a long time. Have you recently experienced a fire tragedy that has left your walls looking unsightly from the smoke? Are there surfaces on your premises that don’t look their best due to damage from smoke and soot over the years? The Ultimate Site Services pressure cleaning crew is exactly who you need to restore your walls and other surfaces to their former glory. We have worked with clients and had their premises looking as good as new in no time at all. Are you looking to repaint your property? Save yourself hours of tedious work manually scraping off the paint with our high pressure washing service. Our team will professionally remove the flaking paint with professional precision and within a short time. Restore your property to its former glory by removing graffiti with our premier pressure washing service. At Ultimate Site Services, we are committed to helping make your property look its best. We have a fleet of vehicles onto which are mounted both cold and hot units for different pressure cleaning jobs. Our machinery is also equipped with on-board water tanks. These commercial-duty high pressure washers are selected from among the latest models in the market and deliver the best performance in getting the job done right. All our units are subject to regular inspection and maintenance, ensuring that they are in excellent working conditions at all times and ready to go when you call us. We carefully select the pressure washers to take to each job taking into account the amount of pressure and flow rate. Be it a roof and gutter cleaning job at home, or a deep floor cleaning in a factory, we have exactly the right unit for each job. We are an environmentally conscious cleaning company and that is exactly why we use biodegradable detergents and soaps for our cleaning projects. While water alone is usually enough for some jobs, some stubborn stains need the extra touch that comes with using an effective detergent. In these instances, we deliberately shun the use of any harsh chemicals because we are committed to protecting and conserving the environment. 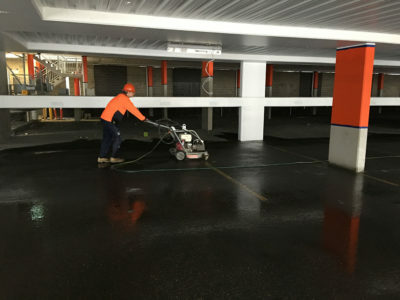 We employ specialist teams for our power washing services. 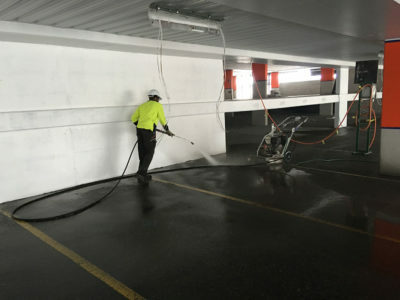 Each member of the crew is qualified in terms of training and industry experience to perfectly execute a pressure cleaning job of whatever scale for both residential and commercial properties. All our team members are professionally trained to operate our state-of-the-art equipment and technology. This combination guarantees a professional high quality service for our clients every single time. Unlike some companies who may create an even bigger mess while trying to clean up your mess, you can rest assured that our crew will do no such thing. We guarantee that your space will look even better creating that great first impression that may have become elusive to you owing due to dirty and grimy exteriors. 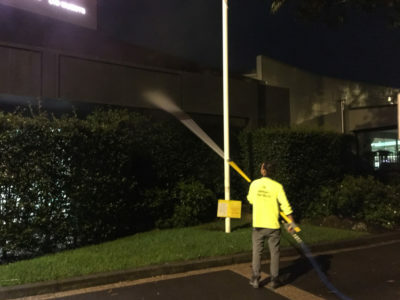 Ultimate Site Service pressure washing technicians pride in punctuality. We will be on site when we say we will be on site and be out of there right on time after doing a great cleaning job. You can depend on us to stick to our timelines and in so doing avoid any inconveniences for you. As mentioned, Ultimate site Services has worked with many clients over the years. 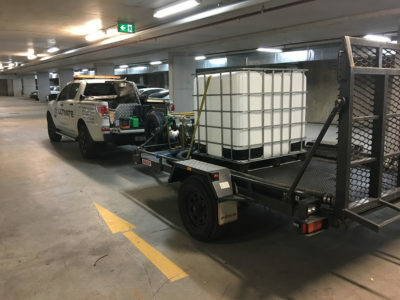 For a look at some of the projects our high pressure water cleaning crew has successfully completed, feel free to look through our projects gallery. For more, we are always willing to let our potential clients see more detailed outlines of our projects in way of case studies and references. 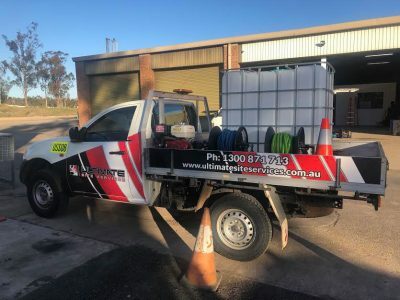 Knowing and seeing exactly what we are capable of as a high pressure cleaning service provider, you too can be a part of the Ultimate Site Services community. 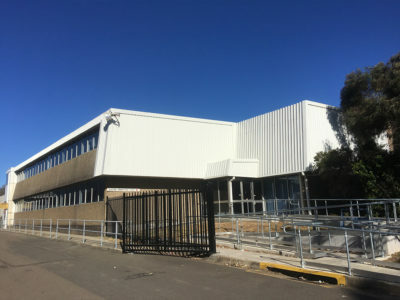 We service locations across the larger NSW region.